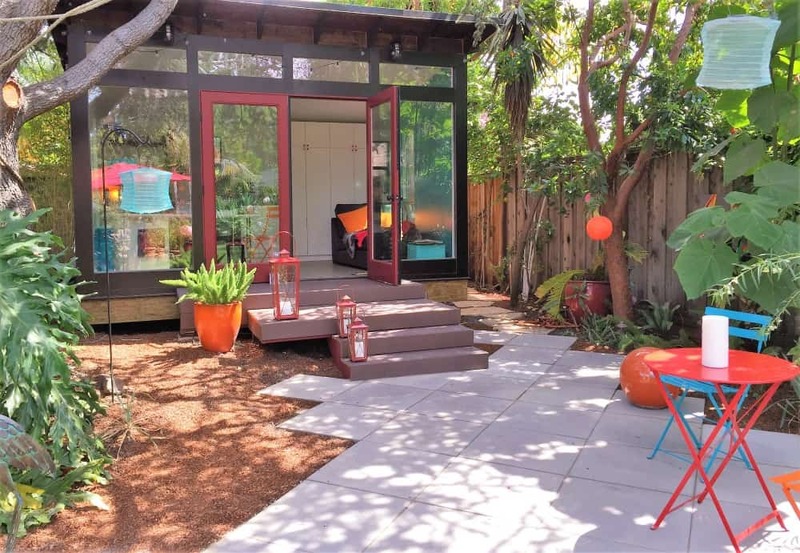 If you’re considering moving into a tiny home but don’t want to fork over big bucks, you might want to consider turning a shed into a house. Shed houses are growing in popularity, with people buying both pre-fab sheds or building a shed house themselves. Turning a shed into a house is easier and more affordable than buying a tiny home. 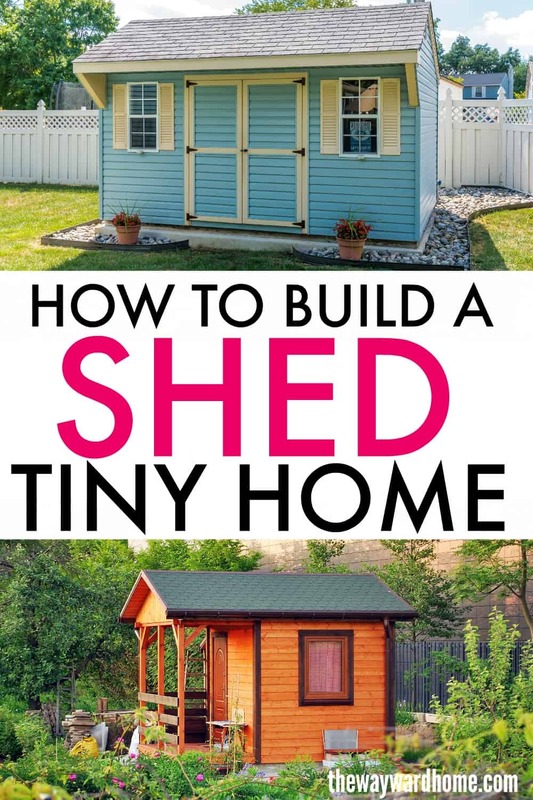 You can also build a shed house much faster than other types of tiny homes if you’re in a time crunch. A shed house might not be for you if you want a tiny home that’s entirely customized. With a shed house, you’ll have a basic shell that can’t be changed very much. You’ll only have the inside to make truly yours. If you have plans to travel with your house across the country, a shed house isn’t the best bet. 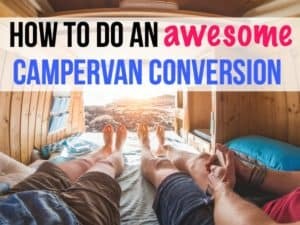 You can’t tow them like tiny houses on wheels, which built to the standard of the RV Industry Association. 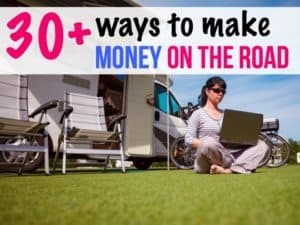 But if you’re looking for a tiny house right now that’s affordable and easy to set up, a shed house could be right for you. Read on to learn more about shed houses, how to build them and how to find shed houses for sale. What does a shed house cost? 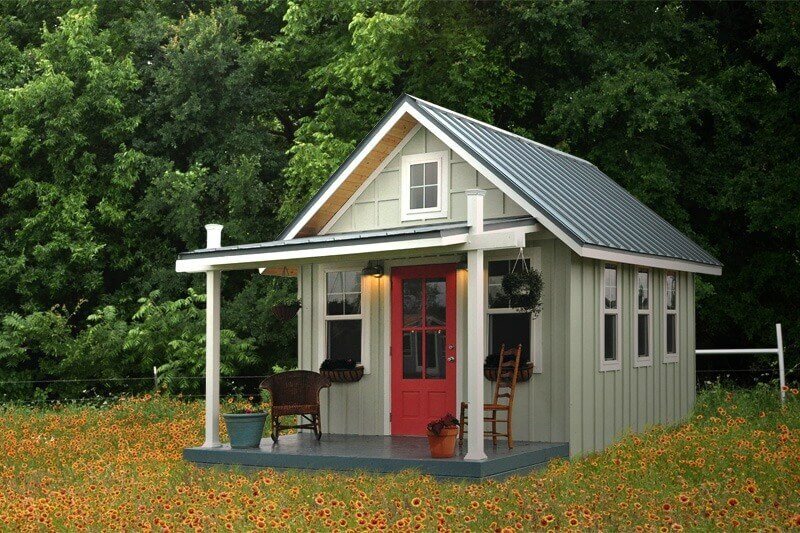 Shed houses are some of the most affordable tiny homes out there. If you buy a prefab shell or entire turnkey shed, it will cost anywhere between $1,000-$30,000, depending on the size and build quality. This is way cheaper than some tiny homes on the market which can sell for over $100,000. Of course, buying a shell or an entire prefab shed will be more expensive than a DIY shed project. According to HomeAdvisor.com, other factors that will influence the cost of a DIY shed house are what materials you choose and whether you decide to hire a pro to help with your building project. Also, electricity, a composting toilet and running water in your shed house will contribute to the overall cost. The good thing about living in a shed house is that the cost factors are entirely up to you. If you feel like it, you can really build a shed house on the cheap. Can you live in a shed legally? Sheds have the same difficulties as other tiny homes. Often, they need to be placed on a property that already has a primary house. This way, they are permitted as an ADU, or accessory dwelling unit. The one benefit of a shed is that it almost always passes building code, as sheds are built to certain standards. 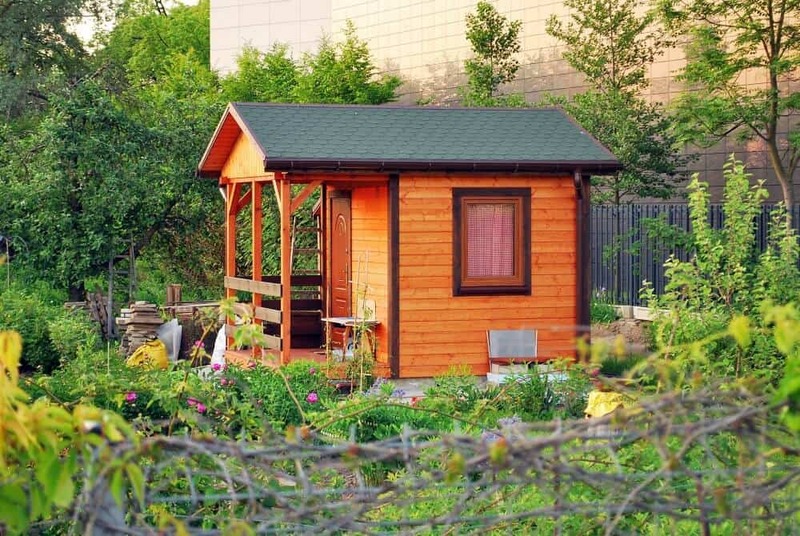 Permitting for a shed house will depend on your city or county’s zoning regulations. What makes living in a tiny house especially frustrating is that zoning regulations are different all over the United States. You’ll have to contact your local permitting office to figure out their parameters for building a shed. Living in a shed is illegal in many places. One person who lives in a shed told me it’s illegal in her county, but officials look the other way. It’s just all about what type of risk you’re willing to take. There are a couple of different options for a shed house: building your own or buying a prefab shell. If you choose to build your own, you can also hire a contractor to help you with the hard parts of the build. Building your own shed house means you’ll have more control of the materials used in construction. Often, a pre-purchased shed isn’t built with materials meant to support long term living. If you think about it, a shed is usually used to store garden tools or machinery. They’re typically not hardy enough to be used on a daily basis. If you build your own shed house, you’ll need to have some basic handy skills. Building your own tiny house from scratch will also take longer than purchasing a pre-fab shed. If you’re leaning toward buying a shed to turn into a house, you should read these shed house construction details to consider by Tiny House Design. When you buy a premade shed, you’ll get the entire structure with windows, doors and delivery, all for a few thousand bucks. Then, it’s up to you to make the inside of your shed feel like home. 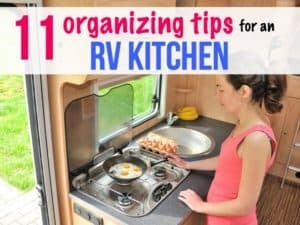 You’ll also have to keep in mind that the shed shell doesn’t come with a foundation, flooring, shingles, drywall, electricity, etc., so you’ll still have plenty of building work to turn a shed into a home. Ryan’s Shed Plans is offering five free shed plans for you to get started. 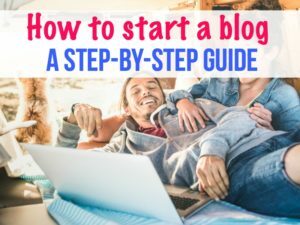 Just click here to grab the plans. 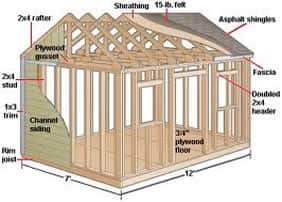 The image below comes straight from these shed plans. Good luck building your dream shed house! Just click here to grab 5 free shed plans. If you’re considering building a shed house to live in, you’ll want to know the positives and negatives of this type of dwelling. So, you want to buy a shed shell to turn into a liveable tiny house? There are so many options on the market. From modern studios to barns, it’s easy to find a prefab shed of your dreams. Some prefabricated sheds are on the higher end and made from higher-quality materials. Others, like the sheds you see on the side of the highway, sell for only a few thousand dollars with a lower-quality build. Studio-Shed manufactures a variety of modern and usable structures meant for a backyard. These beautiful sheds can be installed in a matter of days and are built with high-quality, sustainable materials. Any premade shed house you buy from Studio Shed comes with a 1-year warranty. 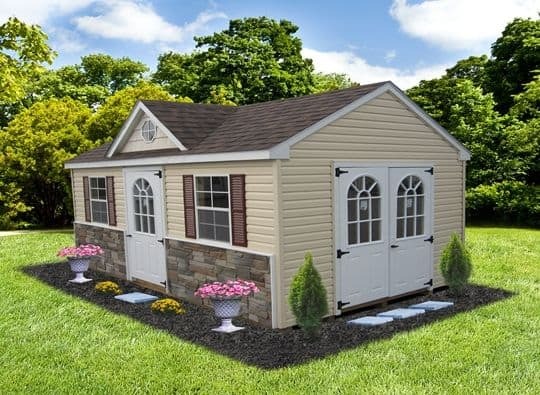 Kanga Room Systems makes all sorts of high-quality backyard sheds and cottages. This Kanga Cottage Kwik Room comes in three sizes, the smallest being 120 square feet, or 10×12. It can be bought as a shell kit (shipped to most states) or a turnkey shed (only in Texas). A shell kit comes with all the exterior parts to make the cottage look like a home, including roof insulation, windows, the door and deck. 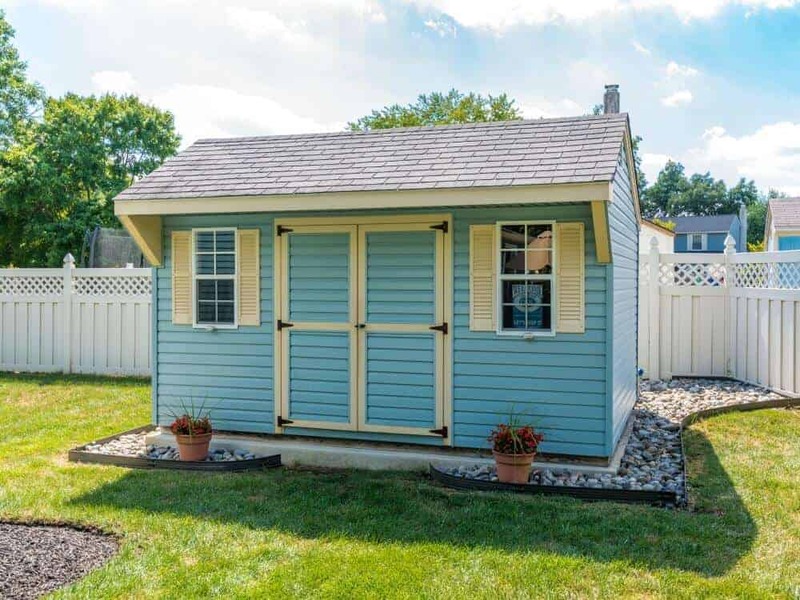 The Cape Cod by Waterloo Sheds is a beautiful and affordable shed that can be turned into a house. You can pick from a range of sizes and between vinyl and wood siding. You can also choose the colors of the shed and the placement of the windows and doors. Some people choose to live in really simple sheds like the Tuff Shed from Home Depot. 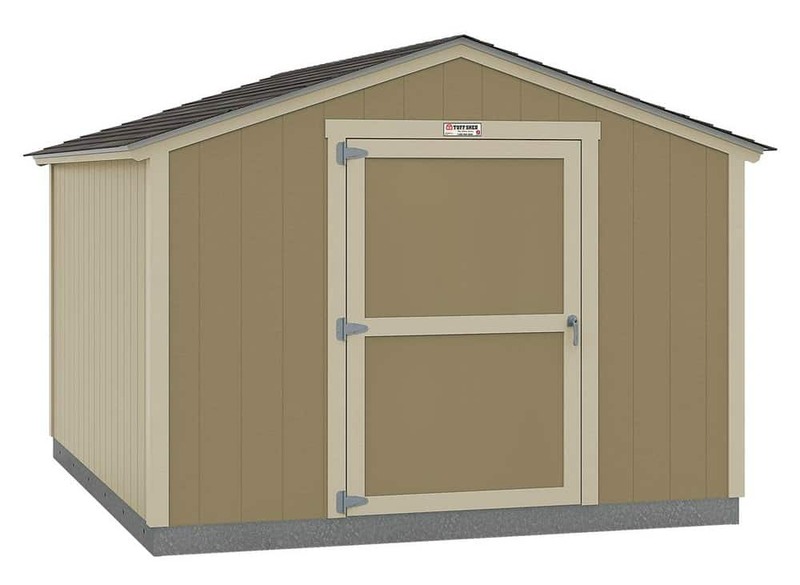 This 10′ x 12′ shed is under $3,000 and comes with a shingled-roof, precision-cut rafters and a steel door. If you buy this shed, you need to provide a clean and level installation site. The Tuff shed also comes a limited 5-year warranty. Plenty of people have already started living in sheds. For some examples and inspiration for your own shed house build, check out these livable sheds. As you’ll see, shed houses come in all shapes and sizes. 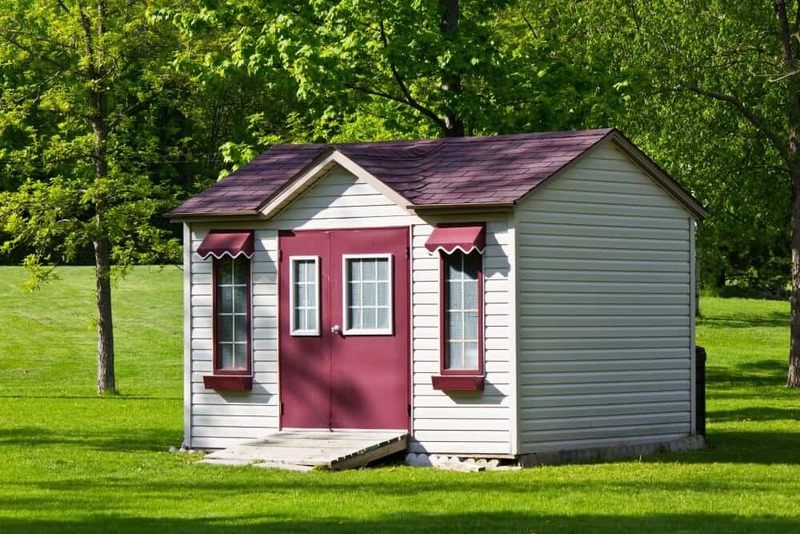 From a traditional tool shed, to a barn shed, to a shed on wheels, you can get creative when building your own shed tiny home. 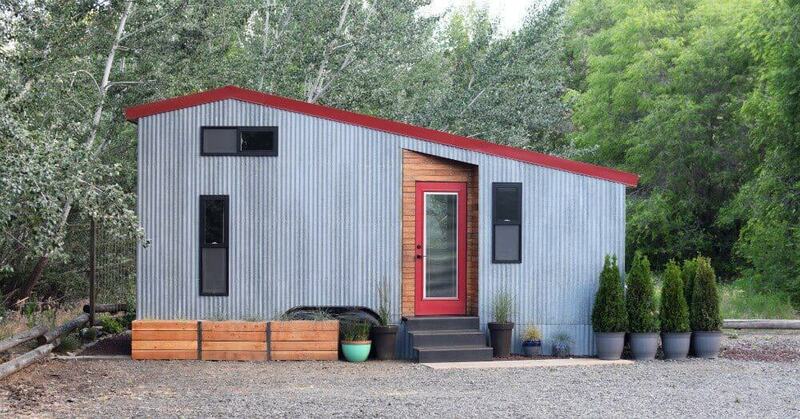 This tiny shed house cost $30,000 to build. Rob and Samantha also put it on wheels, so they can easily move it around. 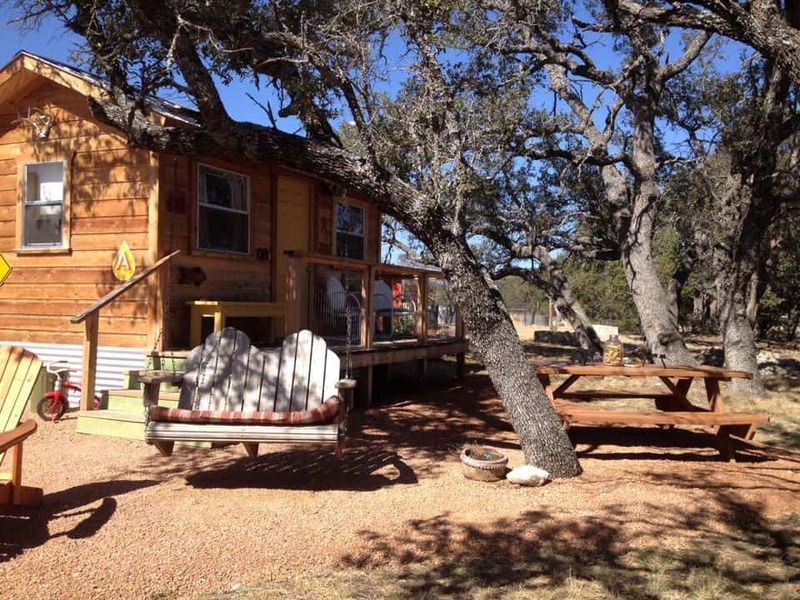 The house was built on a 24’ x 8’ 6” trailer footprint, and the couple used some reclaimed materials in their build. You can get their shed tiny house plans for free. 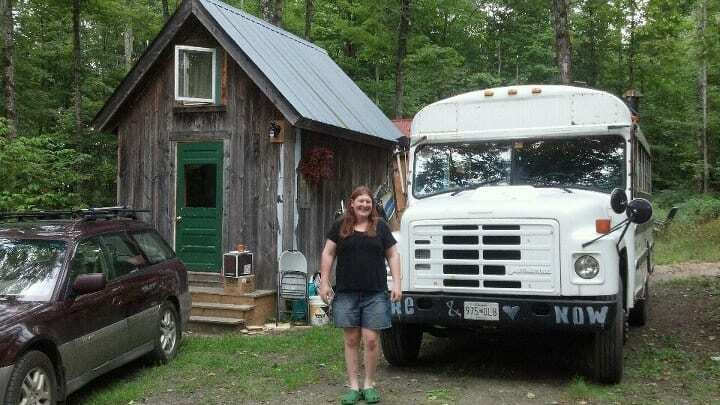 Jamie Morby converted her parent’s old 10×12 foot tool shed into a tiny house. She replaced the door and windows, added insulation and wiring, and a little bump-out for an extra bed. Jamie estimates she turned this shed into a house for around $3,000, including the furniture. Talk about an affordable tiny house! Some shed tiny houses can even look like little barns! I just love the look of this one deep in the forest of Washington’s Olympic Peninsula. Cindy Gonzalez paid $5,700 for this 10′ x 20′ Old Hickory shed from a lot by the freeway. She said she chose a shed because it’s so much cheaper than a tiny house. The insulation and interior cost $1,000. What an affordable tiny home! Sue built this shed house from a premade shell she bought for a little under $5,000. 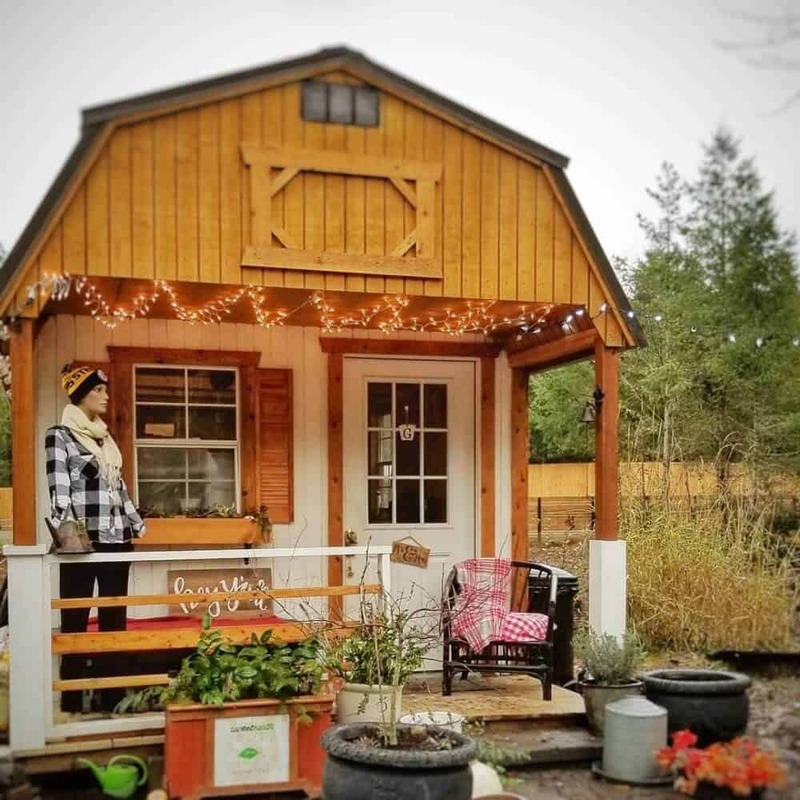 Then, she added a porch deck, wiring and plumbing to turn the shed into a tiny house. Shed houses are a great way to enter the tiny home market without spending a lot of money. Shed homes are small, affordable, easy to put together, and go up quickly. 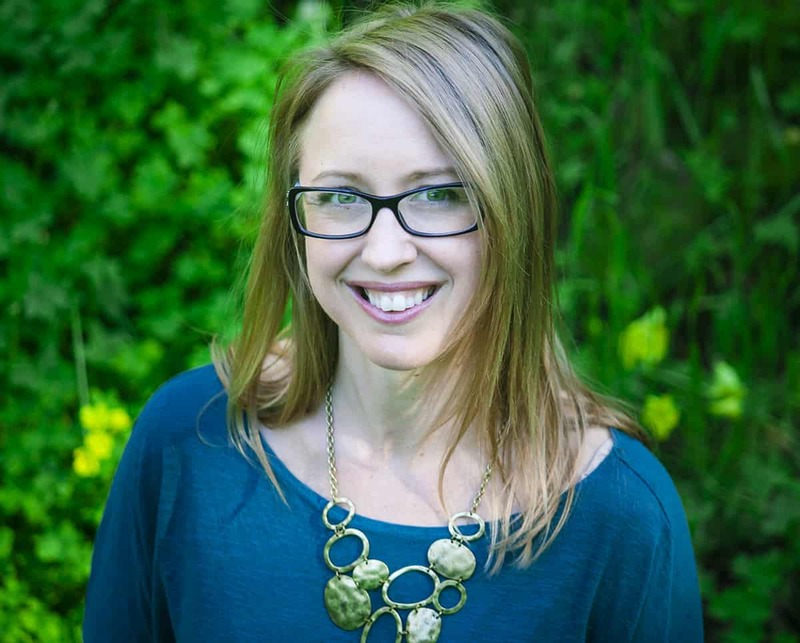 They can be built either on your own property or as an accessory dwelling unit on someone else’s property. Keep in mind the building codes and legality of living in a shed depend on where you’re located. You’ll want to check with your local county or city building departments before turning a shed into a house. If you want to build a shell house, you can either buy a premade shell or build the shed house yourself. 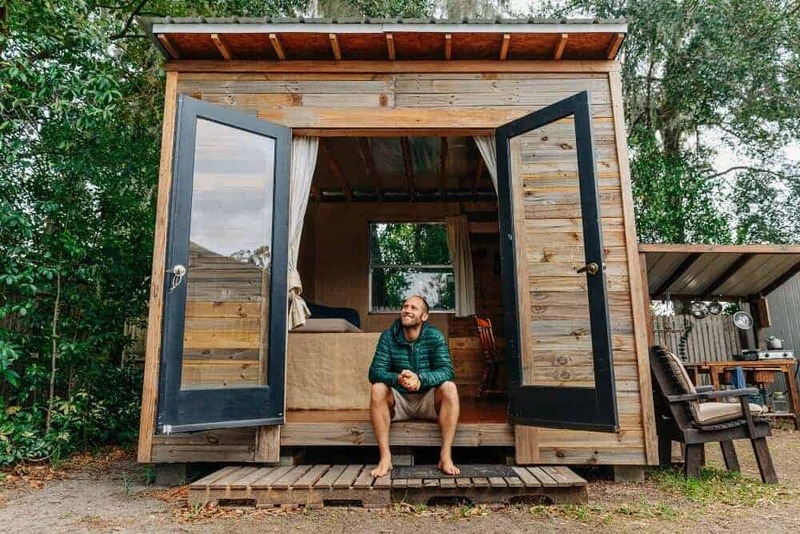 Whatever method you choose, you’ll have an affordable tiny home! Remember, if you want to build your own shed, just click here to download 5 free shed plans right now.